After surviving my last three hour final exam for the semester, I knew the best thing to do was NOT to sit and home and sulk. 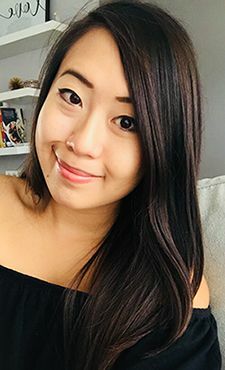 It was a time for celebration, and what better than to head out for dinner with my best friend at Edmonton's first izakaya? 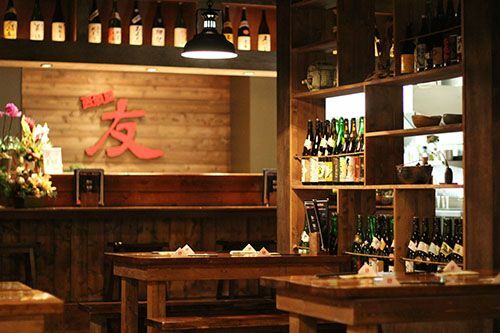 For those of you unfamiliar with the concept, an izakaya is the Japanese equivalent of a bar or lounge, where people typically go for a drink after work and have a variety of small dishes with their drinks. In North America, the concept has become a Japanese tapas bar. I've had my fair share of visits to izakaya's, but this past summer when I first heard of Izakaya Tomo opening, I was more than excited. The Japanese food here in Edmonton doesn't exactly cut it for me after being spoiled by numerous trips to Vancouver over the years. Walking into the restaurant, the space was very clean and we were greeted by a cheerful group of employees which is typical of an izakaya. The all wooden interior really does bring images of Japanese establishments to mind, and the dimmer lighting gives the environment a laid back vibe. Living up to their name, Izakaya Tomo has an extensive variety of sake, shochu, beer, and even cocktails available on their menu. An impressive display of the different bottles are lined up on a prominent wall with all the different available types - and they even offer a tasting flight of 3 sakes for $4.95. Owner and Chef Tomoya Mutaguchi has really poured his heart into the details of this establishment - each different food item available has been paired with recommendations for beer, shochu and sake. For dinner, we went ahead and ordered six different dishes which was more than enough to share between the two of us. First up was the Aburi Saba ($4.45): torched sashimi mackerel. If you know me, you'll know I can't eat completely raw fish, so having the mackerel slightly cooked made me feel a little better. 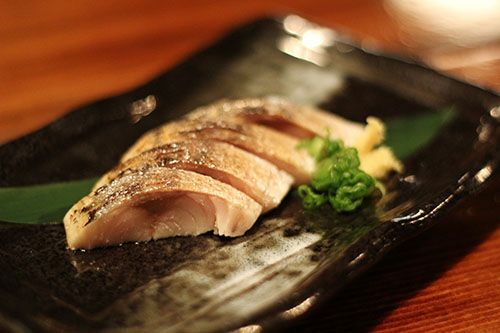 The four slices of this fish were served with green onion and ginger, which helped combat the notoriously fishy taste. The meat itself was creamy, and buttery soft, with a hint of lemon to it. 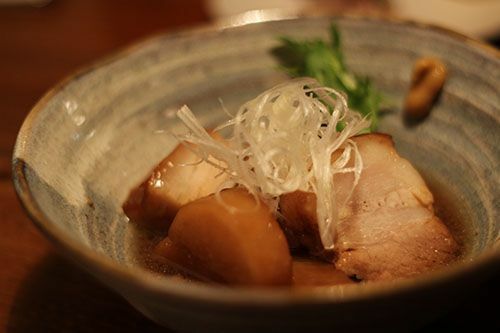 Our next dish was the Simmered Pork Belly ($6.95), which was served with daikon radish in broth. Each piece of pork came with a hefty chunk of fat, but the meat was very tender and flavourful. I had imagined the accompanying daikon to be quite soft, so the hard texture surprised me! The radish was soft enough to bite into while maintaining the hard structure, and flavoured like the broth. 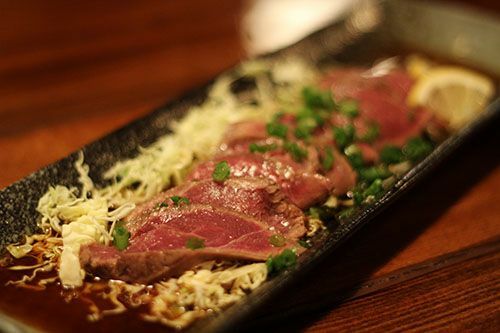 The third dish to our table was the Beef Tataki ($8.95): seared sliced beef with butter ponzu sauce which came to the table just the way I like it. Deep red, rare, and tender. The presentation was beautiful and it was interesting pairing the thick cut beef with shredded cabbage. The ponzu was tangy and not overly salty, but there was no trace of butter that I could taste. Our next dish was probably the most interesting of the night - Carbonara Udon ($11.95): Carbonara pasta with udon noodles. Bacon, onions, black pepper, cream, egg yolk, parmesan cheese. I honestly was so curious to see how an Italian classic would taste with udon substituted in there, and it worked well. The soft udon held onto the creamy sauce, and the smokiness from the bacon really cut through to give the dish its flavour. The last savoury dish for the night was the Tamago Don ($4.95): Egg, green onions and sesame seeds with special sauce on top of the rice. When the dish arrived, I looked around for the aforementioned "special sauce" - which turned out to be the raw egg yolk. 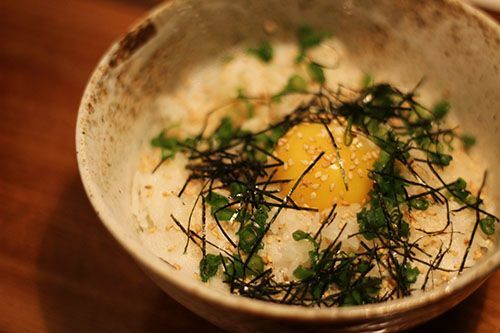 We mixed all the ingredients together, and it was amazing to see how much creaminess the yolk added to the rice. However, it was pretty bland since the whole bowl just tasted like egg yolk. It needs a little extra help to give it some oomph. To finish off our meal, we were torn between two options, but opted for the Ice Cream Puff ($6.95): Matcha ice cream puff with red bean matcha jello and mochi. First off, the presentation was beautiful, and I could tell that this dessert definitely had housemade elements to it. The pastry shell was definitely made in house, and I believe the mochi pieces were as well. 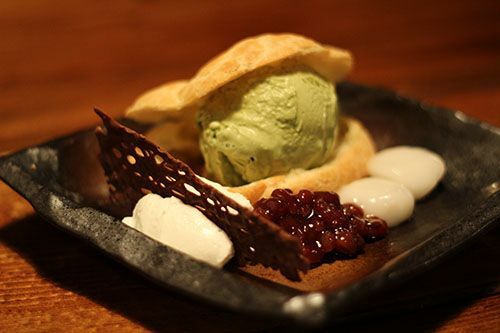 The matcha ice cream went very well with the red bean, and the pastry had a nice chew to it, lending the dish a different textural element. I was not a fan of the mochi though, as it was very dense and sticky and without any sweet flavour - definitely different from any mochi I've ever had before. Having just opened two days prior to our visit, I didn't expect the establishment to be very busy at 6 PM on a Monday night. I was totally proven wrong when the approximate 45 seats in the restaurant quickly filled up by 6:45 pm! 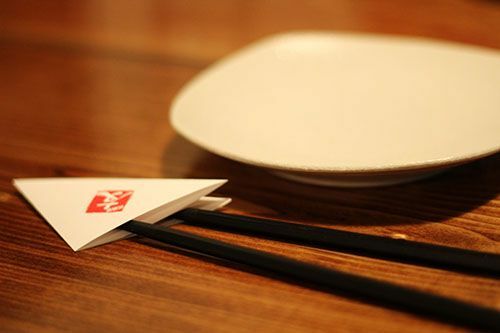 Definitely grab a reservation if you're going to checkout this new izakaya! The food was pretty good for Edmonton standards, and I wouldn't hesitate to return and try other dishes out. However, I will have to mention that the dishes are very safe - no dishes stand out as being very unique like the other izakayas I have visited before. Service was great until the restaurant started to get busy - it took about 25 minutes for us to try to get our bill sent to the table when we were done, but with time I'm hoping the little kinks are worked out. During the meal I had the chance to talk to Chef Mutaguchi, and it turns out that throughout his 9 years with Mikado, he worked with a lot of my close friends who worked there as well. What a small world. He is so proud of his new business, with almost all the staff on site being Japanese, which adds to the authenticity of the experience. Izakaya Tomo is well on its way to being a very popular spot in Edmonton. That looks great. HAve a nice day. Izakaya Tomo looks like an amazing place!! All the food looks so yummy. That carbonara udon sounds so interesting!! The carbonara was definitely different! Not something I would've thought to cook on my own! Fun place! 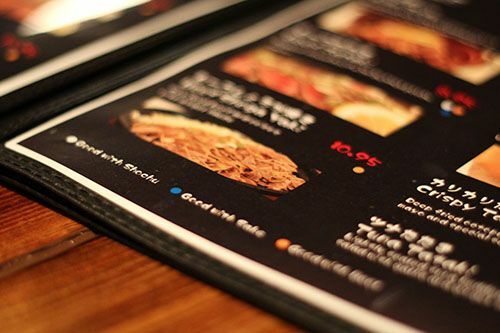 I think I'd like to try those slices of beef the most. i can't get over the presentation of the food. everything is so perfect and gorgeous. hahaha he definitely has an art for this. it also looks good! wow, it is a small world! that is great! makes the place even more special. yum yum! 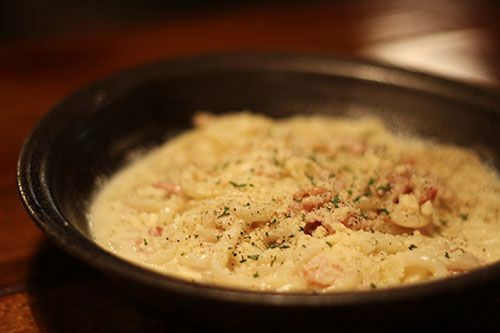 i also went to izakaya tomo shortly after it opened and i really wanted to try the carbonara udon but was super hesitant, so i'm glad you did a review :) i will definitely try it next time i go!